A professional look for any corporate door or executive offices. 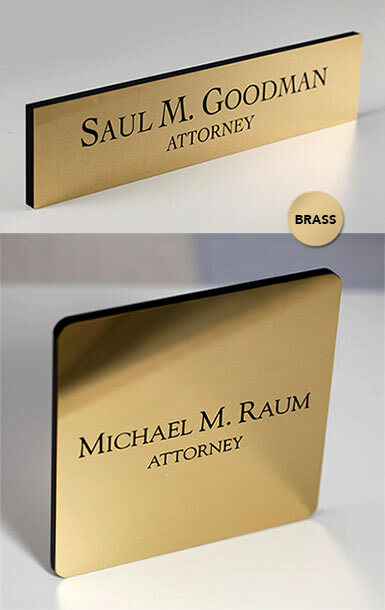 Custom polished brass office sign includes custom personalization and logos - at no additional charge. Add any text you desire for your office, conference room, employee names and so on. Clean brass with rich black text and graphics. Our range of brass signs is acknowledged to be the most extensive in the world. Originally designed for use on ships, we are able to offer more than 200 different brass signs, featuring names, epithets, directions, sayings and other messages, as well as brass signs for ships, boats, private houses, hotels, restaurants, bars, public buildings, and offices. Our contemporary brass signs feature a rich black 1/4" thick backer piece to give your signs a hint of depth and style. 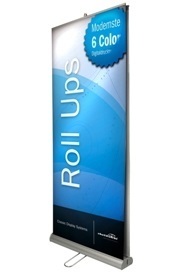 Ideal for office doors, conference rooms, executive suites and individuals demanding style in their sign solutions. 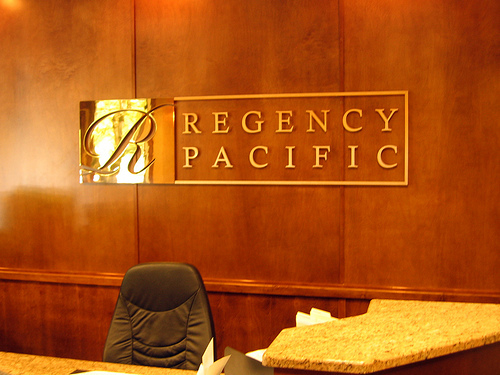 Our professional architectural office signs are a favorite among law firms, interior designers, dentists, health care and medical facilities. Rounded or squared corner sign options.